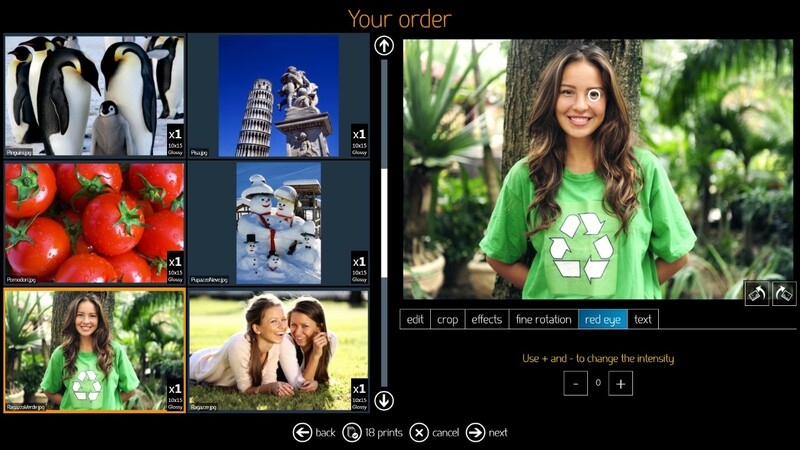 Easy to use touch screen software to create print orders from digital images. Watch the video. Print products and channels are easily customizable: passport, borders, contact sheet, cluster, gifts, Photobooks, CDs and DVDs. Automatically send print orders to dye-sub printers, minilabs, networked PCs, photofinishers via ftp or removable storage media. 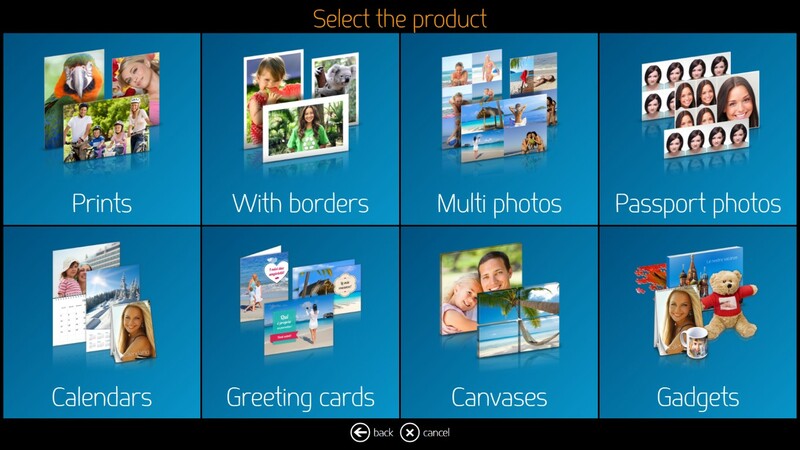 It is possible to load third party frames and graphics to enable creative products like cards, calendars etc. 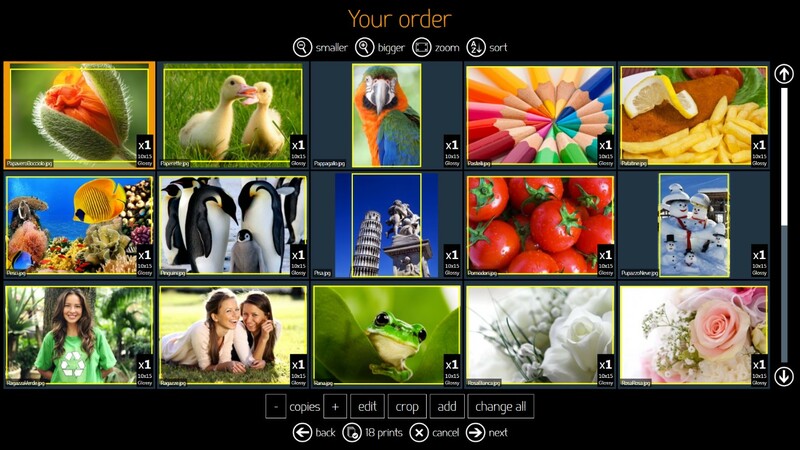 Event photography ordering system with dedicated image sources and price list. 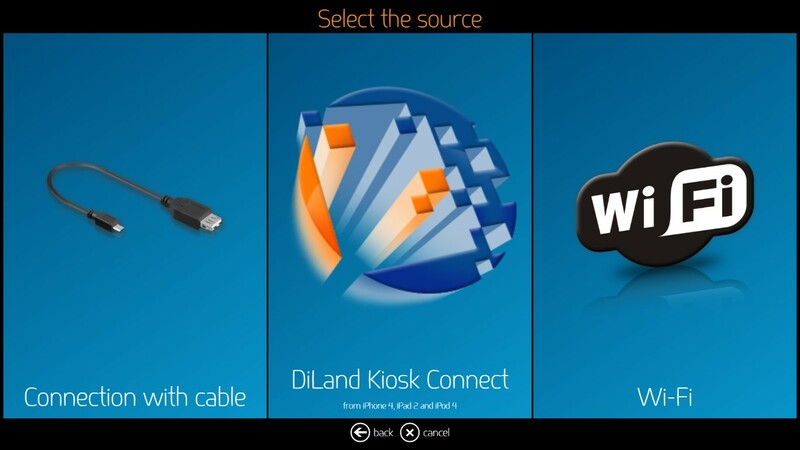 Digital signage feature with customizable text, video and images for high impact promotional messages. With Creative Design you can create personalized compositions: photo books, calendars, cards, canvas, gadgets, multiphoto collages. 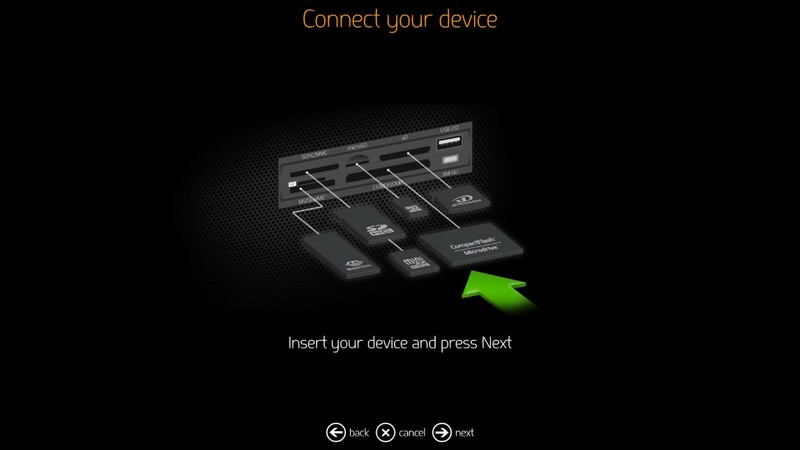 Fuji DX100 and Epson D700 printer management. Initial digital signage screen can be setup with images, video and promotional text messages. 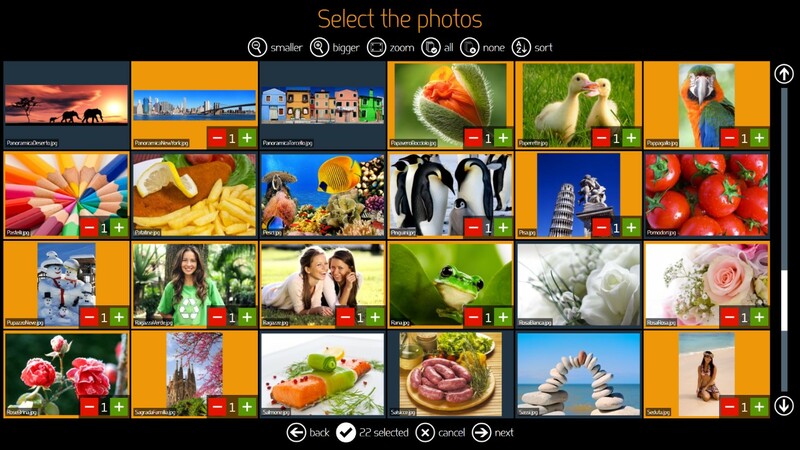 Multiple image source selection to load customer’s images. Load images from social network folders. iPhone and iPad image loading via USB cable and via WiFi, with and without APP. Clear card insertion instructions with 3D drawings. Image selection and print copy quantity in one step. 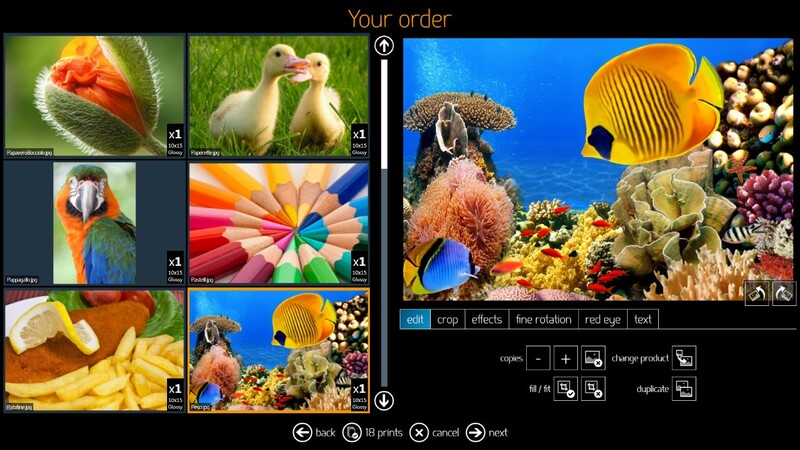 Images can be enhanced and automatically corrected. 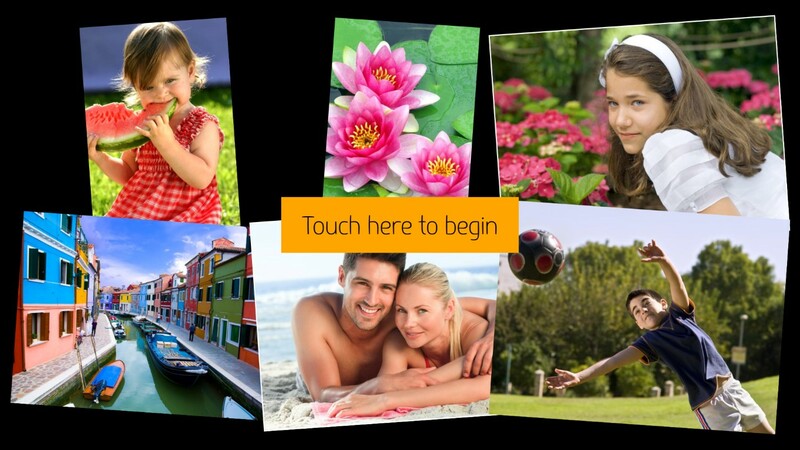 Each image can be adjusted, printed with FIT or FILL option, duplicated or printed in multiple sizes. 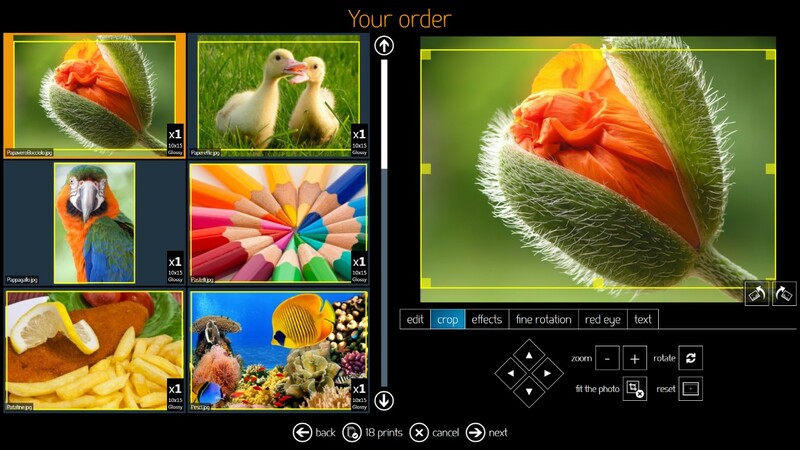 Image crop is easy to do with touchscreens by simply adjusting the yellow box on the image. Clear options for image enhancement. 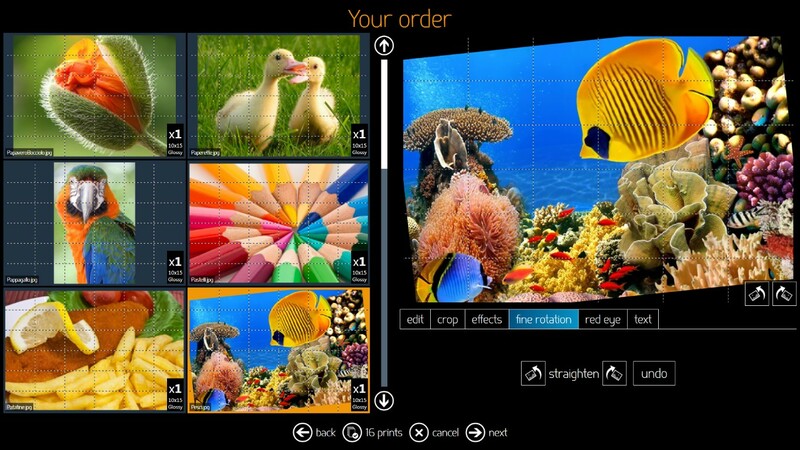 Manual corrections can be enabled to allow customers doing manual image adjustments. Images can be rotated also by fine steps. Follow DiLand news on Facebook!